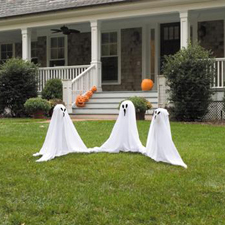 Ghostly Group Lawn Set (3 count) includes 3 ghosts on stakes with a white sheeting covering. Includes (3) plastic lawn stakes and (3) poles. Each ghost measures approximately 3' high (including pole and stake). Spooky style. 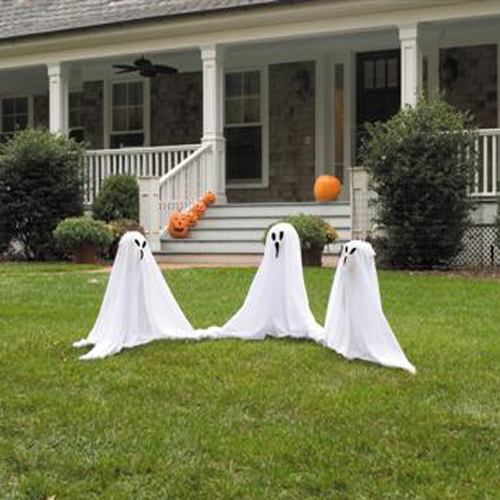 This ghostly group adds a Halloween theme to your lawn. In white. •Stakes keep the figurines in place. •Sheer covers create a ghostly look.